She’s a city girl living in the agricultural world. It’s a known fact that agriculture plays a big role in the country’s economy where its industry contributes approximately 20% to the Gross Domestic Product, which also involves about 40% of Filipino workers. Women also comprise “27.3 percent of the 10.4 million workers employed in the agricultural, hunting and forestry sector in 2004”, according to National Statistics Office in 2004. Johanna Lyn Estonilo Inocencio, a BS Agribusiness Management major from the University of the Philippines – Los Baños, will be an addition to the number of women who will work in the agricultural industry. Through a tweet, Inocencio openly shares how she was once questioned for choosing to pursue a degree in Agribusiness Management, considering that she’s a city girl, hailing from Makati. 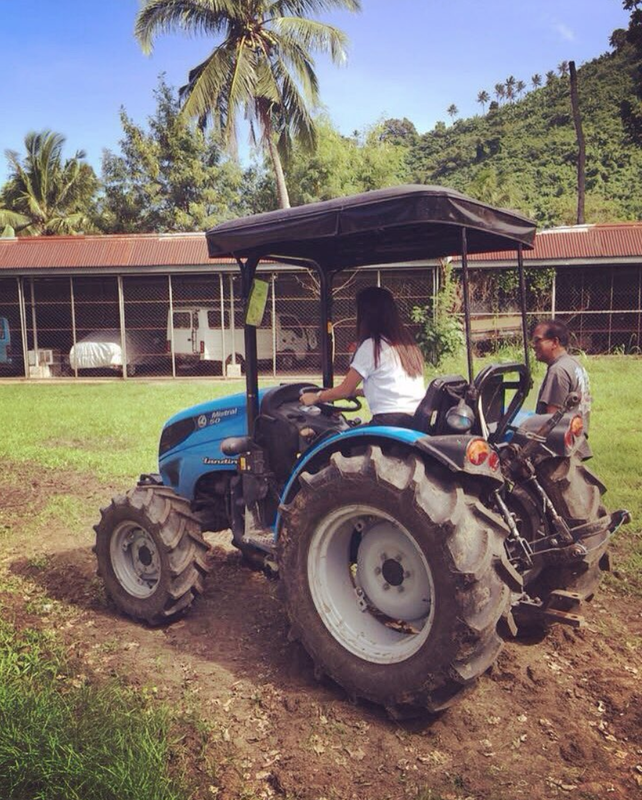 “I will definitely serve the agribusiness sector here in the Philippines,” she proudly shares. A professor once told me , "How can a girl living in Makati pursue a degree in Agribusiness Management?" “Actually, UP is not my dream school and agribusiness management is definitely not my dream course,” Inocencio tells WHEN IN MANILA. I was not accepted in my dream school so I decided to go to UP – I really had no idea what course to take so I just copied my sister’s course. She is also a graduate of UPLB, we have same course. But as I continue with my studies, I saw how relevant it is to have professionals in the field of agribusiness. I want to make a change. I want to see the agribusiness sector progress. Agribusiness Management can lead you anywhere. In terms of employment opportunities, it has a wide scope, in research, farming business or other science-related careers. And the demand for this course when it comes to employment opportunities will be almost the same every year since we need to eat and the food we eat needs to be processed and analyze. You can choose to work in the corporate world or in the industry. A lot of graduates in this course are already in big agribusiness companies like Bounty and UNAHCO. Some are working in banks, NGOs and academe and some chose to establish their own business. Inocencio confesses that she is a proud “city girl”, knowing that she does uphold that image. 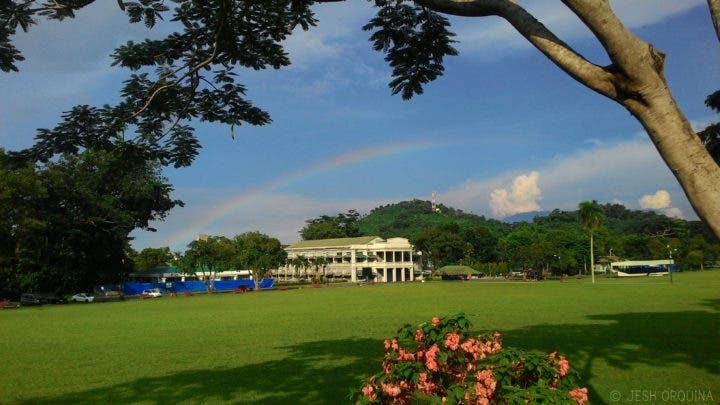 Back when she first entered the state university in the provincial Los Baños, she was absolutely amazed at her surroundings – which included a sky stretched with stars from Freedom Park, or even the presence of nearby horses, carabao, and goats. Additionally, she gets the opportunity to marvel at views of the mountains and plantations. Inocencio planting rice. “It was really hard for me, and I was very hesitant if lulusong ako sa putik ‘nun. Crop Science 2 was our subject at that time and we experienced planting only 10 seeds under the intense sun, but it was really hard for us already. How much more with our farmers who are out in the fields every day?” Photo provided by Inocencio. Inocencio wants to break the stereotypes and the notions of those who decide to venture into a course similar to her’s, particularly after graduation. People would also say that in this field, magiging magsasaka ka daw after mo makagraduate (You’re going to be a farmer after you graduate). I usually hear that with some of my friends here in Makati. I observed also that if you’re in this industry, you’ll get nowhere. A lot of people replied to my tweet and they said that their parents didn’t allow them to take similar courses kasi nga walang pera daw sa agribusiness (because you can’t make enough money in Agribusiness). I think that’s the sad part of wanting to pursue this but there are really some people that will let you down. The pressure comes in with these notions, but this drove her to prove that she is more than “just a city girl”. This allowed her to excel in her academics by becoming a consistent college scholar and joining an organization that envisions to establish agribusiness start-ups – which she believes, “where she found her purpose”. Inocencio holding a lasso for her Animal Science 2 class, a practice “para sa pagpapatumba ng baka”. She says for this class, she was “really exposed to farms”, including castrating chickens, going to piggeries, milking, etc. Photo provided by Inocencio. With graduation coming around the corner, Inocencio plans to work in an agribusiness company for now, as well as getting the chance to work in the government. She also plans on taking the Civil Service Exam as well as getting a Master’s Degree. She also looks forward to owning an agribusiness start-up someday. I want to make more millennials be engaged in agriculture. I want to pull them into knowing that playing a role in the economy would need them to be involved in agriculture. We need to have programmes that start at early childhood levels, so that children at that level are taught agriculture. I am determined to change the public stigma towards agriculture to the point where the agriculture and agribusiness sector will be seen as a new source of wealth and people saying that one does not need to be a doctor or engineer to accumulate wealth, but be an agribusinessman or agripreneur instead as a career choice. Agriculture and agribusiness are too important to ignore. They are more diverse now than before, offering a wide variety of jobs available. Agribusiness industry is one of the smartest career paths to take. Whether you are looking for a company that you fit in with, a competitive salary, or you want to make a difference, the agribusiness sector has a wide variety of jobs to choose from that it is easy to find what suits you best. It’s a growing field that really needs new and talented professionals. Inocencio during her ABE 2 class, where she drove a truck for the first time when this was taken. Photo provided by Inocencio. She ends our interview describing what the agriculture industry is to her. Agriculture is not only about farming. Agriculture is sophisticated, as it includes bio-technology, crop modelling, etc. Agriculture and Agribusiness are far beyond the misconception of being a poor man’s career. This country needs more professionals that will utilize our resources to feed the ever-growing population. Photo provided by Inocencio. She will march on June 23, 2018. Disclaimer: WheninManila.com does not own the photos here. Credits go to Joha Inocencio. LOOK: The Moffatts are in Manila! LOOK: How Many People Can Fit In A Tricycle?